The Environmental Club has facilitated an expansion of the waste disposal system in the cafeteria. Photo by George Zhou. compostable items. 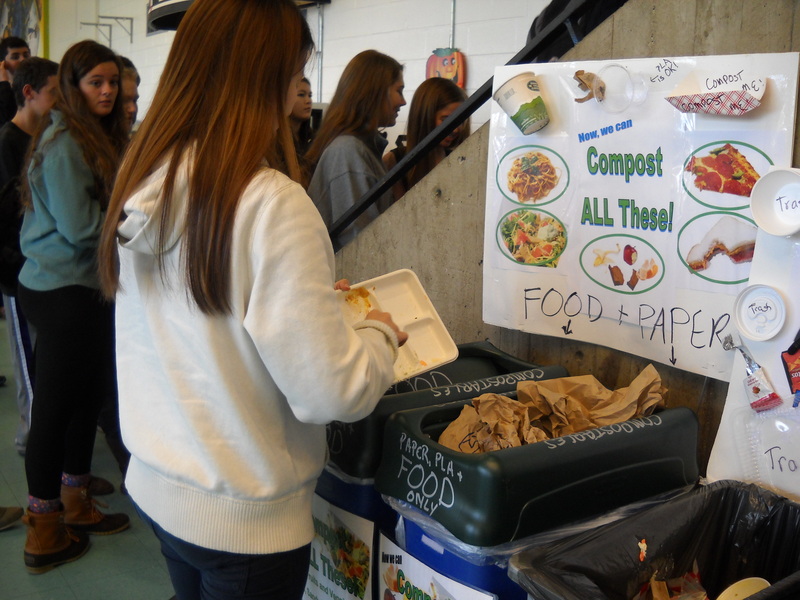 The Environmental Club facilitated this change, directing all types of food and paper waste to a large-scale composting facility in Hamilton, MA. Students are now able to compost all food items, not only produce (fruits and vegetables), but also meat, diary, pizza and sandwiches as well. In addition to all paper (bags, coffee cups, certain trays, etc. ), plastic-like biodegradable PLA cups can be composted. The items should be placed in the middle two labeled blue bins. As the lunch trays are biodegradable, they should be composted. Neatly stack them in the labeled blue recycling bins. Emptied containers, such as bottles and cans, should continue to be recycled. 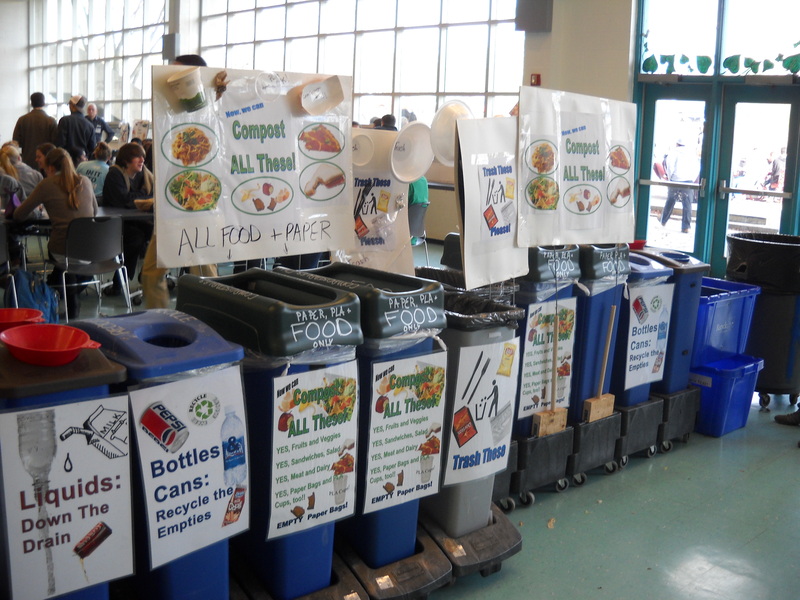 Updated signs make clear what can and can not be recycled or composted. Photo by George Zhou. Plastic (grab & go salad trays, straws, bags, packaging, chip and snack food bags, etc.) and Styrofoam (bowls and cups) should not be composted or recycled and should be disposed of properly in the labeled gray bin. Dann estimates that at least two to three hundred pounds of waste that formally would have been trash can now be composted daily. Additionally, liquid and recycled material diverted away from trash amounts to hundreds of pounds every week.